Relax poolside overlooking a Florida conservation area and small lake at this lovely villa in a gated community! Retreat to this lovely water front villa! 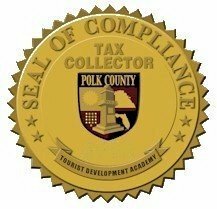 Easy acces to Orlando/Tampa attractions. Close to all the excitement with the quiet comfort of home. A beautifully furnished 3 bedroom home conveniently situated for the major attractions. This home has a master bedroom with queen bed, walk in closets and en-suite bathroom, and 2 further bedrooms, one double and one twin sharing the second full bathroom. There's a fully equipped kitchen, with all that you could desire ,and a family room with cable TV , DVD player and comfortable leather sofas, as well as a second lounge for the quieter moments . The swimming pool overlooks the conservation area and small lake at the rear of the property. 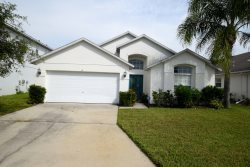 This lovely home is situated on a small gated development, just 15 minutes from the hustle and bustle of the Disney areas and Kissimmee. It's Ideal for the small family looking for the right place to be close to the main attractions but also to offer the chance to relax on vacation.